Our small group from church is getting quite good at throwing baby showers. At any given time, there are anywhere from 1-4 pregnant ladies in the group, so we have a grand time celebrating all the babies and the mamas. 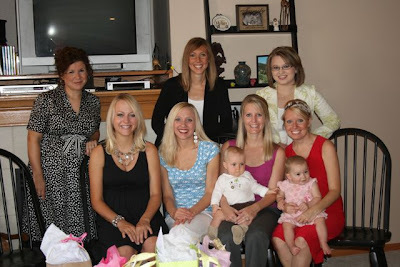 Yesterday we hosted a brunch for Mary and her baby girl, due to arrive October 20. It was a fun, girly party. Ladies, we should do this more often! 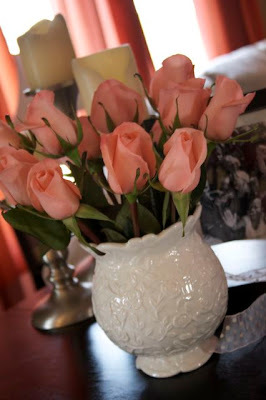 Pink roses for soon-to-arrive Little Miss Ryan. 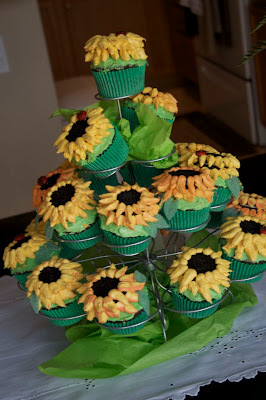 I contributed the sunflower cupcakes, thanks to Hello, Cupcake! Seriously, y'all, these cupcakes are way easier than they look. If you like creating cute things in the kitchen, that cookbook is a jewel. 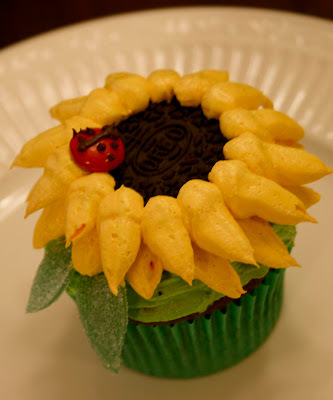 A closer look at one of the cupcakes. 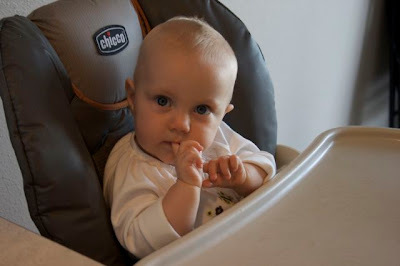 Anja says, "where's my mimosa?" 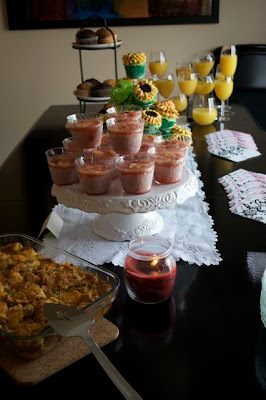 those sunflower cup cakes are cute - but aren't virgin mimosas orange juice? 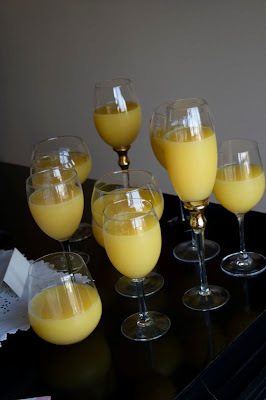 For our virgin mimosas, we used orange juice and non-alcoholic champagne. Tasted kind of OJ+Sprite-ish, but it'll do for a bunch of ladies who aren't drinking the real stuff right now!! Your cupcakes are so cute. I love the touch of the ladybug. Great pictures as well, Nicole.